26300249 упак - 100 шт. Упругая нержавеющая сталь с пластиковым покрытием. Для фиксации панелей Flexiform к главной направляющей. Connect Clip 100/40 артикул Ecophon - 26300266, Ecophon Цена от 29.77 руб./шт. Connect Cover trim Ds 0731, белый 010 For covering the cut edge of Focus Ds in corridors, hiding the edge. Pushing it towards the modular wall trim to get a visually pleasing finish of the installation. артикул Ecophon - 26300731, Ecophon Цена от 77.39 руб./шт. 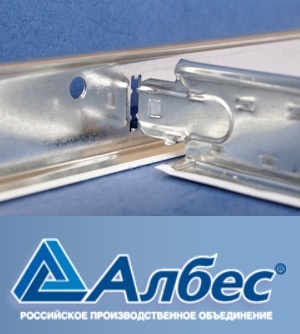 Connect Cover trim Dp/Dg 0732, белый 010 For covering the cut edge of Super G Dp in corridors, hiding the edge. Pushing it towards the modular wall trim to get a visually pleasing finish of the installation. артикул Ecophon - 26300732, Ecophon Цена от 77.39 руб./шт. Connect Direct fixing plate Galvanised steel. For direct fixing of edge C . артикул Ecophon - 26300299, Ecophon Цена от 15.48 руб./шт. Connect Direct bracket H=48 мм. For direct fixing of Mainrunners. Оцинковка артикул Ecophon - 26311012, Ecophon Цена от 23.81 руб./шт. Connect Direct bracket H=78 мм. For direct fixing of Mainrunners. Оцинковка артикул Ecophon - 26311018, Ecophon Цена от 29.77 руб./шт.